In his homily, Fr. 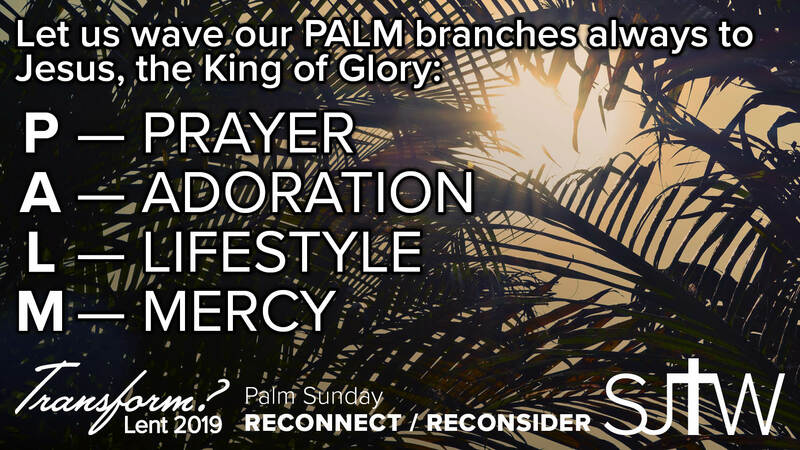 Paul talked about how we celebrate three things this weekend: the beginning of Holy Week, Passion Sunday and Palm Sunday. This week is the holiest week of the year. But it will only be Holy if we each walk with Jesus and keep our eyes fixed on the Cross. 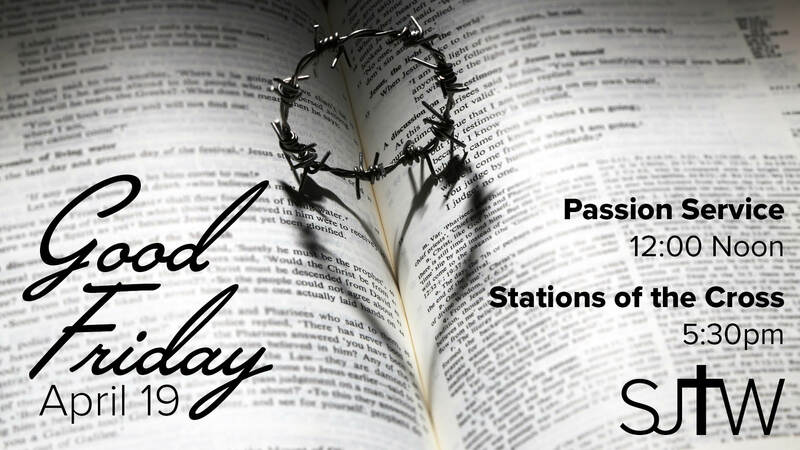 This Sunday is Passion Sunday. Where do we find ourselves in the story of the Passion? Are we one of the fearful Apostles who ran away? Do we bravely follow Jesus in our humble, self-emptying love for those in our life? Today is Palm Sunday, Jesus’ triumphal entry into Jerusalem. How do we live our lives? Do we glorify God with cries of “Hosanna”? Or do we let our sinful ways shout “Crucify Him”? As you go about this Holy Week, think about where you fit in the story of Jesus’ Passion and how you can walk with Him to make this week truly Holy for you and your family.